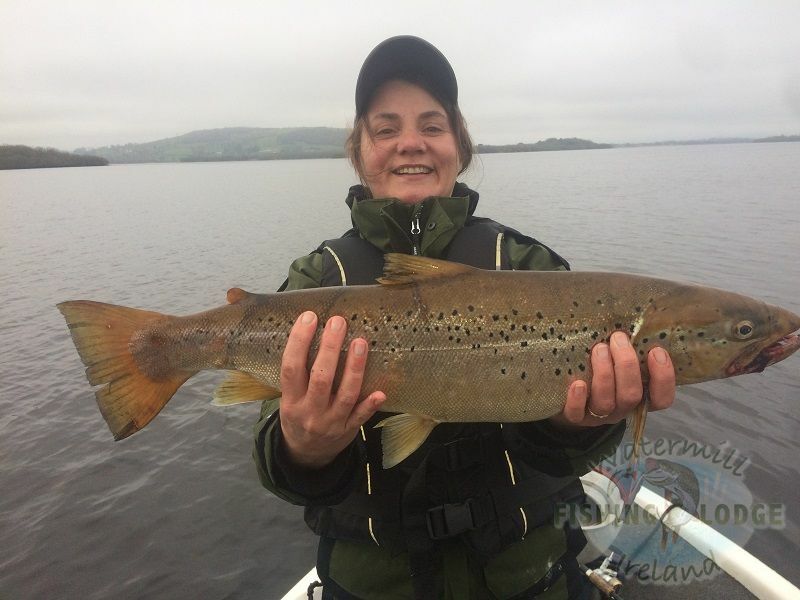 In smaller bodies of freshwater, adult brown trout have a brown or olive-black back, with lighter side colourings and a white belly. Large black spots appear on much of the sides and back, often with lighter borders. Red, yellow, or orange spots with paler borders are also along the sides. 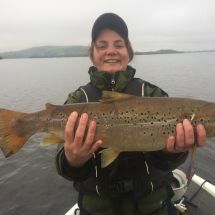 Brown trout that swim in large lakes and the ocean lose a lot of their distinctive spots and are a lot more silvery in colour. They mostly live in the deeper part of the lough and grow up to 20lb for 1m long. Brown trout are a shy fish and so prefer a lot of cover, overhanging vegetation, rocks, stream debris, banks, and deep pools are just some examples of what brown trout like to hide in. The brown trout is known to be very clever and quite elusive. Attempting to catch one can be a frustrating experience at first. Learning more about this species and understanding its patterns can help you concentrate your efforts in more productive ways. 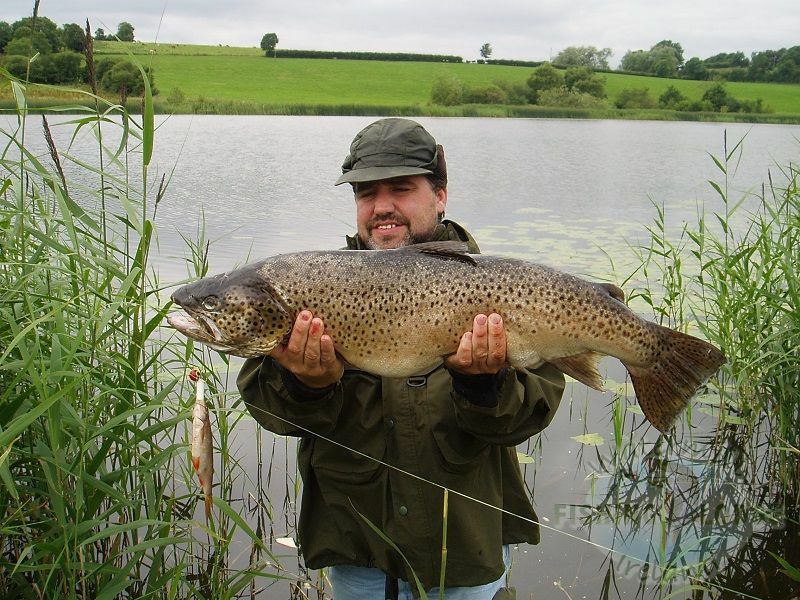 Brown trout feed by day and night and follow an opportunistic feeding style. Their freshwater diet consists of other fish, frogs, mice, birds, streambed invertebrates, and insects that fly near the surface of the water. 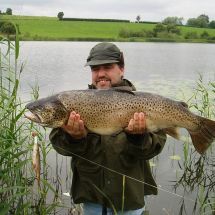 Therefore, when fishing for brown trout, choosing the correct spot is monumental to increasing your chances of success. Getting one on the hook is quite a challenge. You may use small lures, or fly. 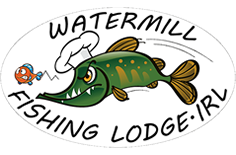 Don’t underestimate the power of the spoon: – Trout (especially lake trout) love to bite on a small silver or gold spoon, as well as spinner baits, like the Hildebrandt. There are several different rigs that might work best for you, try them out to see what works best. I like to use an 8″ leader attached to the hook-end of a gold Hildebrandt.